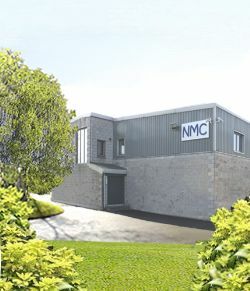 The Natural Medicine Company is a small, privately-owned, wholesale business operating from purpose built premises in Blessington, Co. Wicklow, within easy distance of both Dublin and to main distribution corridors to the rest of Ireland. On a day-to-day basis we are practically involved in the complex logistics of importing high quality, health products and supplying them to Health Stores, Pharmacies and Healthcare Professionals nationwide. Because some of our products are medicines, we have to have a pharmaceutical wholesale licence and operate to Pharmaceutical Good Distribution Practice (GDP) under the inspectorate of the Irish Medicines Board. However, out of choice, we try to operate this quality standard across all aspects of our business because it helps us be more efficient, helps us protect the quality of our products, and requires us to ensure that all our products are what they should be. The Natural Medicine Company and its staff have been working for over 30 years with some of the most respected companies in the industry sector. Some of these companies have been in business for nearly a century and are amongst the finest custodians of the knowledge and ethos of the health product industry. All of our suppliers are committed to producing quality health products that are as natural as possible and to doing so as sustainably as they can. Together we pioneer an approach to healthcare that is both scientific and wholistic, and which strongly supports individuals who want to take personal responsibility for their health. Behind the scenes, representatives of our company engage continuously with regulators, trade representatives, research bodies and professional organisations, trying to better understand the products we handle and to gain better recognition for our approach to health care. We were seminally involved in the 1980s and 1990s in gaining legal recognition in Ireland and Europe for Homeopathic Medicines, Food Supplements and Traditional Herbal Medicines, and we continue to work to ensure that this legislation is implemented and developed to best meet the requirements of producers, suppliers and users of these products alike. We can supply products on-line if necessary, but for the most part our business is conducted through retailers and our website is primarily set up to inform consumers and support this retail activity. As importers and wholesale distributors, we endeavour to ensure that the products we handle are of the natural quality we would like to see. Because we ourselves are not producers, our input is largely limited to being selective about who we chose to work with and having systems in place to verify that products are of the quality they should be. We will let you decide for yourselves as to the quality and ethical status of our suppliers by following the links and reviewing what they have to say on their Brand pages. We heat our offices with a wood-burning boiler run of timber from a local, continuous-cover woodland. Community is all about the people with whom we interact on a regular basis. In years gone by communities consisted of friends, family and neighbours in the area where we lived. Today, however, modern transport and information technology have created a world with infinite communication possibilities. In this world the communities we build can spread right across the globe. Our suppliers source product from all over the world, but they themselves are based for the main part in Europe (UK and Germany); however, we also have one suppler from the USA, and four suppliers from New Zealand! The two charities that we most frequently support are Bothar and The Nial Mellon Trust.